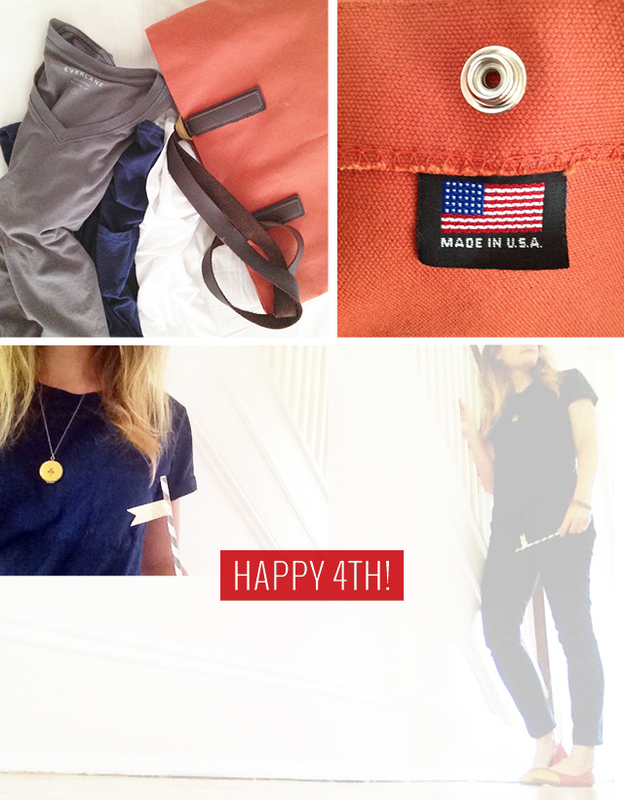 AVA Design: Everlane + Happy July 4th! Everlane + Happy July 4th! Last month I decided to pare down my closet and only allow myself to purchase clothes that I really love and will last over the years. So ever since, there's been a slight Everlane obsession happening here. With their up-front business model + simple and affordable basics, you can't go wrong. Plus, the majority of their products are made in the US and those that aren't include descriptions showcasing the relationship Everlane has with their overseas factories. I'm wearing the Box Cut Tee above, but also have a thing for the V Tee and am anxious for the re-release of their Ryan Tees next month. Check out Everlane here and have a wonderful 4th of July!